Hello! Welcome to my profile! 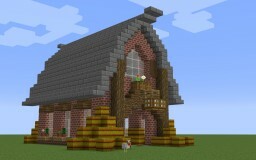 I'm a skin-maker and builder, but I mostly enjoy survival mode Minecraft! I am currently not accepting any new skin or build requests. Level 6! Thanks to anyone who has given me diamonds and my two subscribers, KittyCat12346 and Tigerblink! I finally entered the Spring Fling Event!